Transitioning to the new standard has the potential to be time-consuming because each lease will need to be evaluated under the ASC Topic 842’s definitions and reporting requirements. The new leasing standard also requires lessees to record most leases on the statement of financial position, which will have a ripple effect on debt covenants, EBITDA, and other financial measures. Not-for-profit organizations can make the transition to the new standard easier by working through some of the following elements before the end of 2018. The first step to transitioning to the new leasing standard is to understand what will be different under ASC Topic 842 from current U.S. GAAP (ASC Topic 840). Management should encourage anyone involved with financial reporting to attend seminars, read articles, and talk to a service provider in order to be prepared for the new financial reporting requirements for leases. The new standard comes with some new definitions—for example, capital leases in the existing standard will be considered finance leases in the new standard. 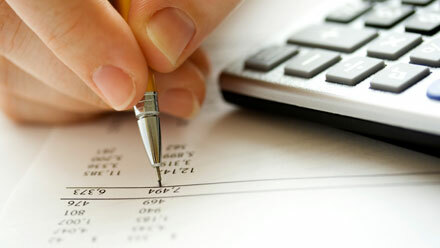 It also comes with some changes to how the leases are recorded on the statement of financial position. Accounting for finance leases will be very similar to capital leases: lessees will record right-of-use assets (formerly capital lease assets) and lease liabilities (formerly capital lease obligations) for each finance lease. But changes in the accounting for operating leases for lessees is different because a new right-of-use asset and lease liability will be recorded under the new standard, while these leases are off-balance sheet in current U.S. GAAP (ASC Topic 840). Assets and liabilities from operating and finance leases must be presented or disclosed separately from each other. Variable lease payments dependent on an index or rate should be included in the measurement of the recognized asset and obligation (measured at the commencement date), while other variable payments are excluded for lessees. A practical expedient exists for leases with terms of less than one year. For lessors, the primary changes include changes in terminology, alignment with changes to lessee accounting, and some additional alignment of the accounting for leases with the revenue recognition standard introduced under ASC Topic 606. Each lease will need to be evaluated for compliance with ASC Topic 842, so lessees and lessors should take the time to inventory all of their leases. Review existing contracts and ensure that assets are listed on either the fixed asset listing or leases schedule. Knowing the contracts that are in place at the effective date and the assets that will be affected will help streamline the application of the new standard. The requirement to record most leases that are longer than one year on the statement of financial position may have an impact on financial metrics. Lessees should conduct an initial analysis on what that impact could be, including any related covenants or contracts. For example, loan covenants may use a Funded Debt to EBITDA ratio that looks at the interest expense on all a borrower’s indebtedness plus all the long-term indebtedness of a borrower compared to a borrower’s EBITDA. Lessees will want to pay close attention to the covenant’s definition of indebtedness, which is generally defined as the principal amount arising from debts, liabilities, and obligations of every nature or form, including lease obligations. A covenant would likely put restrictions on what that Funded Debt to EBITDA ratio would be (such as it should not exceed 3:1), and the adoption of the new standard may instantly change the calculated ratio. If lessees can proactively see that adopting the new standard may lead to covenant violations, they can address the issue before the standard’s effective date. They can also share those findings with their board. Board members will want to know where complications may arise with adopting the new standard (such as potential issues with debt covenants) and how the organization plans to respond to them. With the effective date for not-for-profit organizations still a while away, lessees will have time to amend or modify any agreements that may be particularly affected by the new reporting requirements. If recording more lease liabilities on the statement of financial position will violate debt covenants, for example, lessees may want to meet with their lender and renegotiate or amend their agreements to avoid the debt covenant violation. Taking a deep dive into the new standard and assessing the impact of the lease accounting changes can put a significant strain on internal resources. An accounting provider that is experienced with ASC Topic 842 may be able to help evaluate how adoption will affect you and provide recommendations for changes that can make adoption easier. For comments, questions, or concerns about the leasing standard, please contact us. Heather Winiarski is a Senior Manager in Kansas City, MO. She can be reached at 816.945.5168 or hwiniarski@cbiz.com.